We made this app to help iPhone 6s/6s Plus users to share their Live Photo with other services (Whatsapp, Messenger, etc.) and other platforms (*cough* Android *cough*). 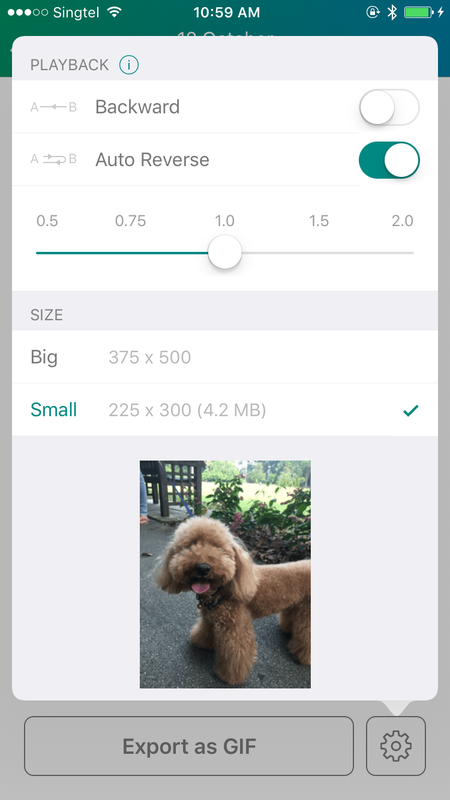 The app is very simple, it shows you all your Live Photos in a grid view, then you get a system share sheet to pick what you want to do with the final result. Lively is a free app with 3 free exports. After that you’re free to preview but need an in-app purchase ($1.99) to have unlimited exports. Let me know if you find the app useful. Thanks! Thanks for sharing your app with the iMore community. Good luck with it. Welcome, and thank you for sharing your app, best of luck. Looks nice, but only 3 exports free. $1.99 for unlimited exports. It seems fairly useful, so why not! Lively is a free app with 3 free exports. After that you�re free to preview but need an in-app purchase ($1.99) to have unlimited exports. Why are gifs upside down? You meant your GIF is generated upside down? If that's the case could you drop me a PM. I'll try to get it sorted. Thanks. email address removed. Please do not post email addresses. Gotcha. I'll follow up to see what's wrong there. Thanks! Lively 1.0.1 is out with new GIF controls, also fixed Ledsteplin's issue :). Lively is still generating upside down GIFs for me. So far it only happens when I select photos that are in an iCloud Photo Sharing library.